Forgot to backup those precious photos? Computer has crashed and there are important documents on the hard drive? Do you need to rescue your emails? Do you want to avoid this happening in the future? Get It Fixed can assist you in recovering your files, photos and videos from old computers, computers that don't run or power up, or those where you just deleted the files or photos accidentally. 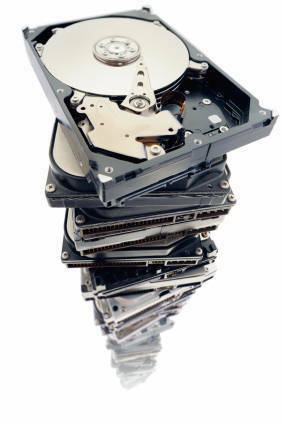 Our standard service applies to recovery from drives that are not physically damaged (for that you will require a data recovery specialist with a dust free environment - which we will source for you). If you don't know if the drive is damaged or not, we will check it out for you. Our team of nerds like to play CSI and take things apart and find lost files. The first thing you must do is stop using the computer and book it in immediately. If you continue to use the machine you may degrade the lost files beyond the point of us being able to rescue them. We can't guarantee that we will get all of them, but we will try our best to get as many as are possible. Rather than send you to a secret underground lab with a brain sucking machine to get your password back, we attempt to get into your machine using some of our special Get It Fixed top secret tricks (some of our team watch too many Bond films - its a job requirement actually). Failing that, we will get your files out and try to return your computer to normal working order by reinstalling it and reinserting your files back into the system. It is more affordable than hypnosis. If you have a new computer, or have had an experience with not having a backup when you need it, and you want to start, we can help you out. There are several different methods and options available for backup. It all depends on the level of security, how critical the files are and how often you want to backup and how easy you want it to be. Give us a call on (02) 9967-5306 and we will help you set up the right backup strategy for you or your business.